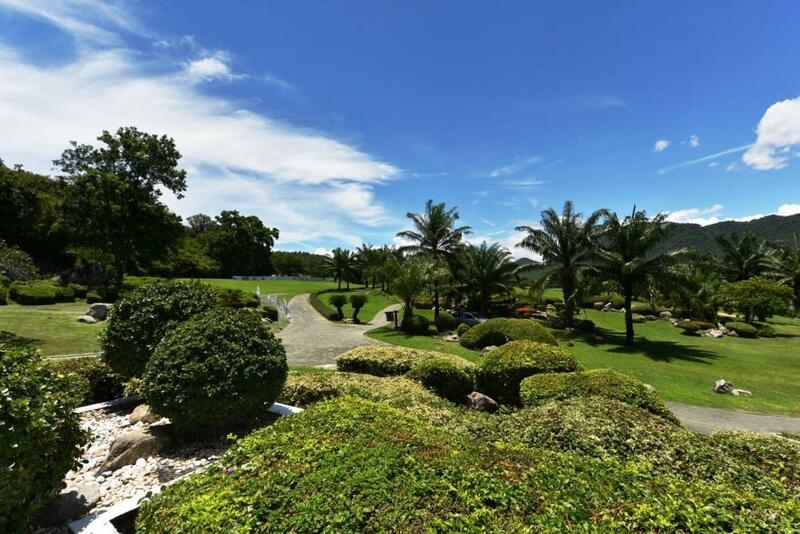 Exceptional golf villa at Palm Hills Golf Club & Residence, just 15-minute drive from Hua Hin and Cha-am city centers. 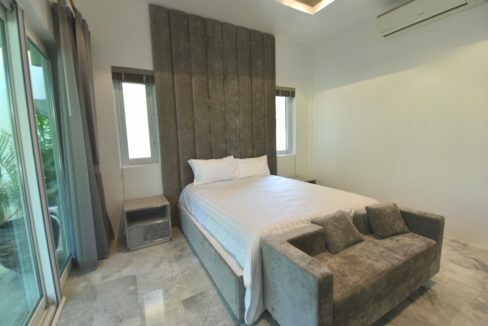 The Villa, built to a great standard, has been completely refurbished and extended with many extra options as well as re-painted in- and outside. 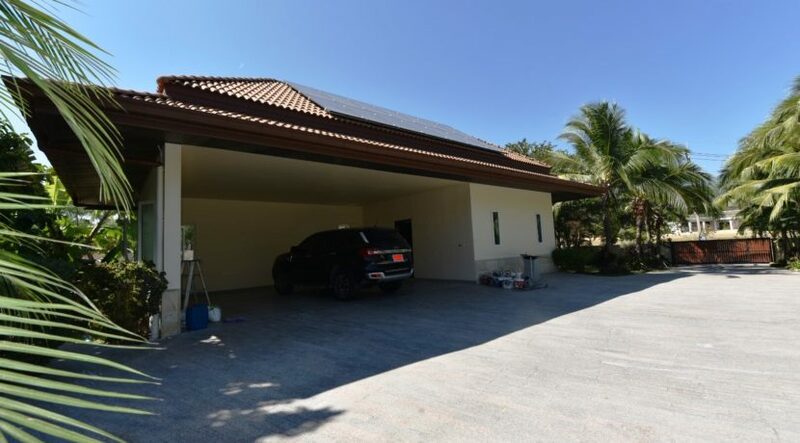 The Villa, located on a 2340 sqm large land plot facing the golf course, is a high standard 1700 sqm build with 1,000 sqm inside living area. The villa consists of Front house, Main house, Guesthouse and Carpark building with utility rooms. The front house with entrance area has 2 large bedrooms with walkin closets and ensuite bathrooms. Furthermore, an exceptional Spa/Sauna room. At the villa entrance, find a double covered carpark and separate maid quarters/utility room. 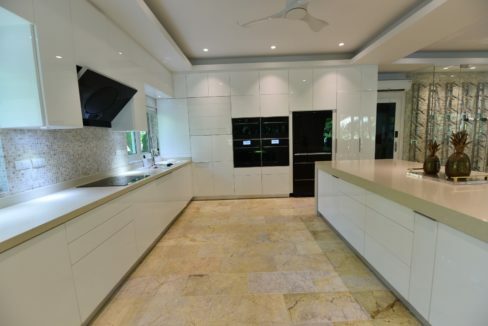 The main house features an extra spacious open plan living/dining lounge, a fully fitted ultra-modern European design kitchen, a separate wine storage and a spacious master bedroom with walkin closet and ensuite bathroom. 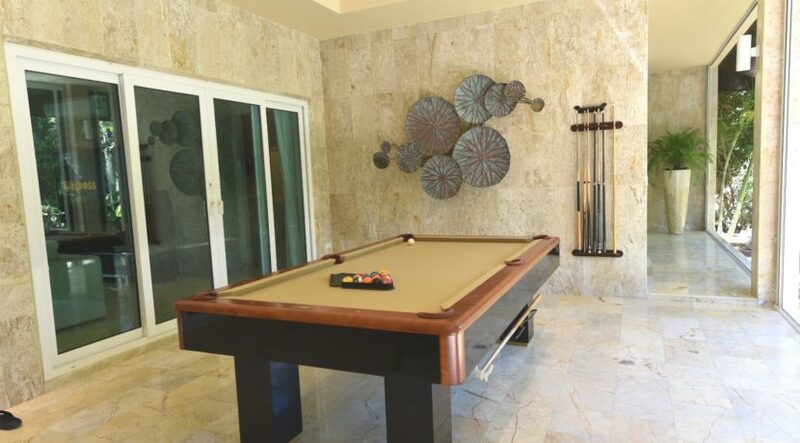 Along the full 25-meter façade find a covered furnished patio next the 8×20 meter large swimming pool. 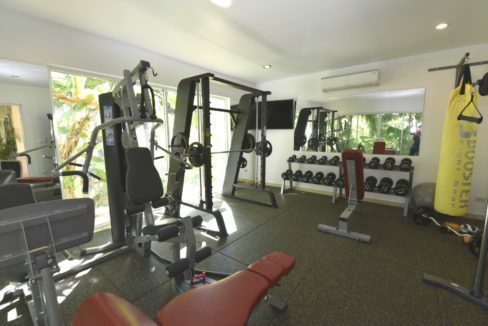 Next to patio and pool you’ll find a complete 2-bedroom Guesthouse and a well-equipped gym room. Landscaped tropical gardens and ponds provides a fantastic atmosphere all around the patio, pool and guesthouse areas. Adjacent to the patio an outside BBQ kitchen. 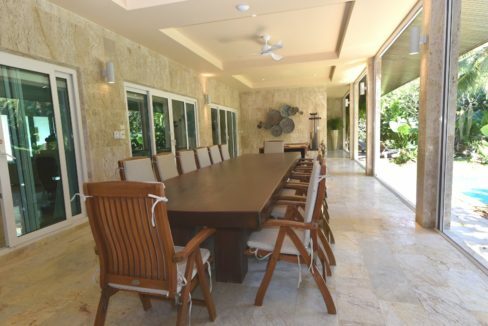 This exceptional golf course villa in an attractive area is offered at a competitive price. Download description at: www.dansiam-property.com/11000009 and mail or call for viewing (+66(0)81-860-9611 (English/Thai) /+66(0)81-820-3496 (English/Scandinavian)).